UPDATE: Postponed due to inclement weather. The event will be rescheduled for a later date. 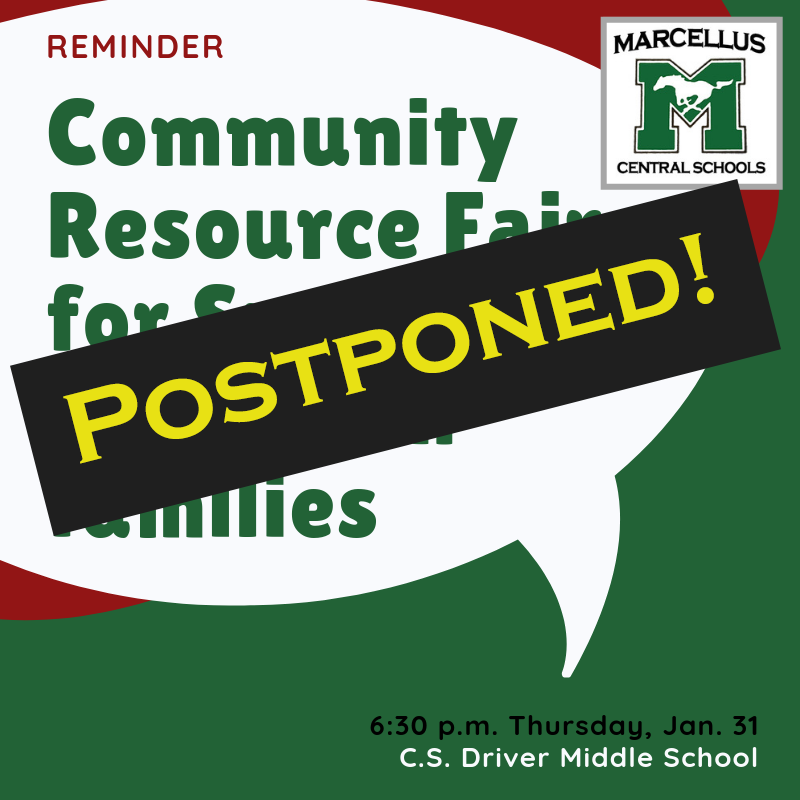 Jan. 30, 2019 -- Marcellus is hosting a Community Resource Fair from 6:30 to 8:30 p.m. Thursday, Jan. 31, at Driver Middle School for families of students with disabilities. The evening will include a keynote speaker at 6:30 p.m., four breakout sessions and representatives from 15 community agencies.